Here is the final artwork for the poster, its set up to be a 4 color print. Tried to capture the jungle/beach/tullum vibe through colors and textures. I'm really with how this came out I think they are going to look awesome in person when they're all printed up full size! 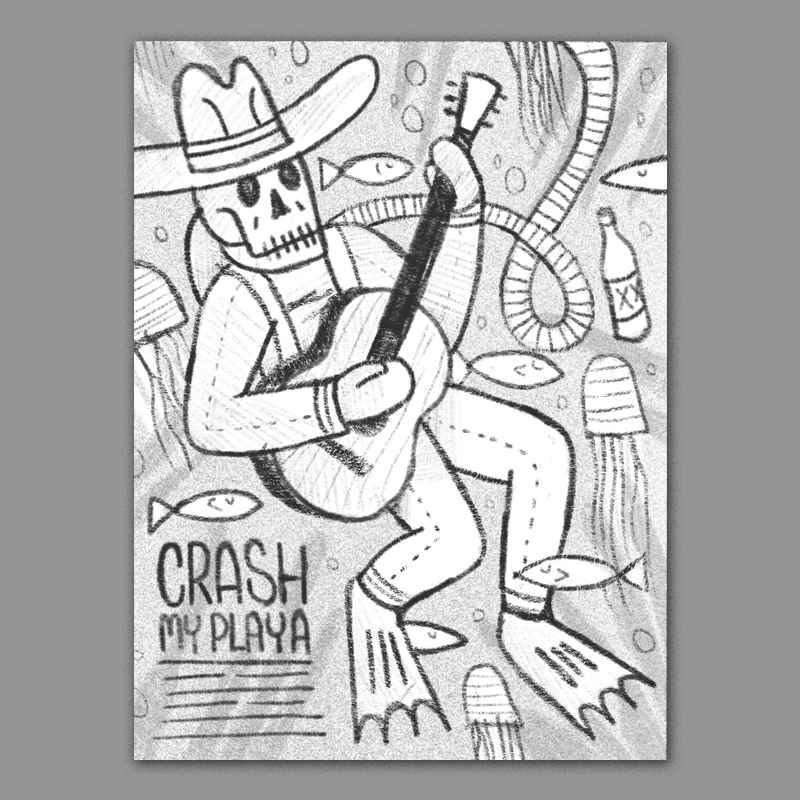 Here are a few rough concepts for the Crash My Playa poster, tried to focus on combining traditional mexican imagery with southern/country aesthetics. A sugar-skull scuba diver wearing a cowboy hat and plucking a guitar surrounded by various tropical fish in a cool underwater setting. 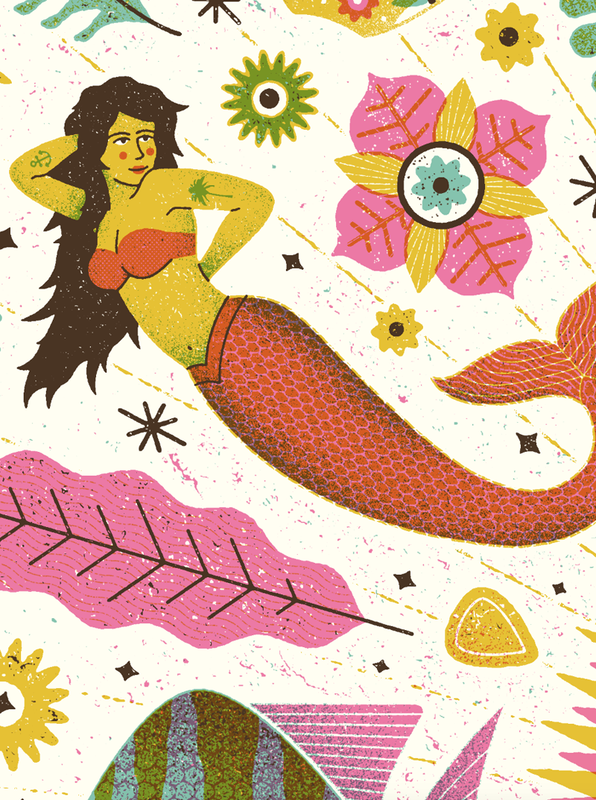 I think this direction could look really great printed with some nice bright inks. 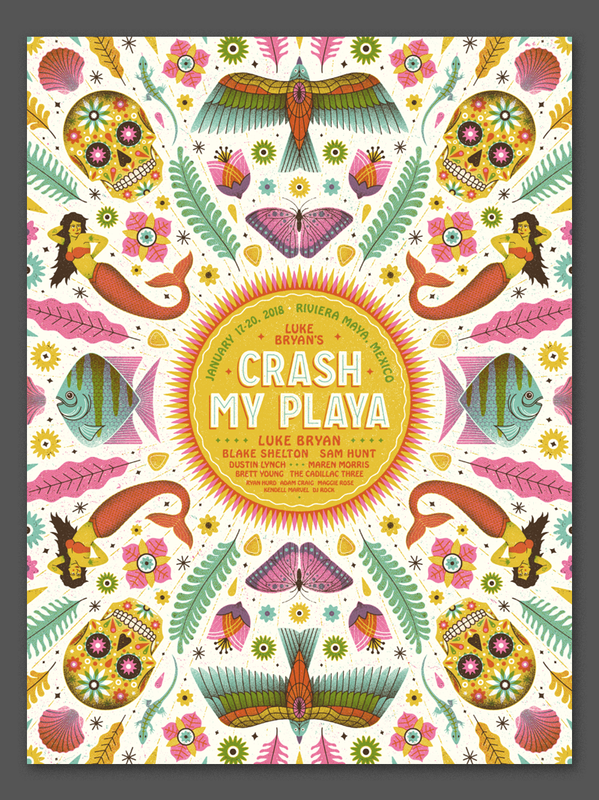 A fun landscape mash up - think tulum meets nashville. This concept has lots of opportunities for fun little details. A mayan calendar inspired design featuring a variety of fun elements rendered in bold, bright colors. 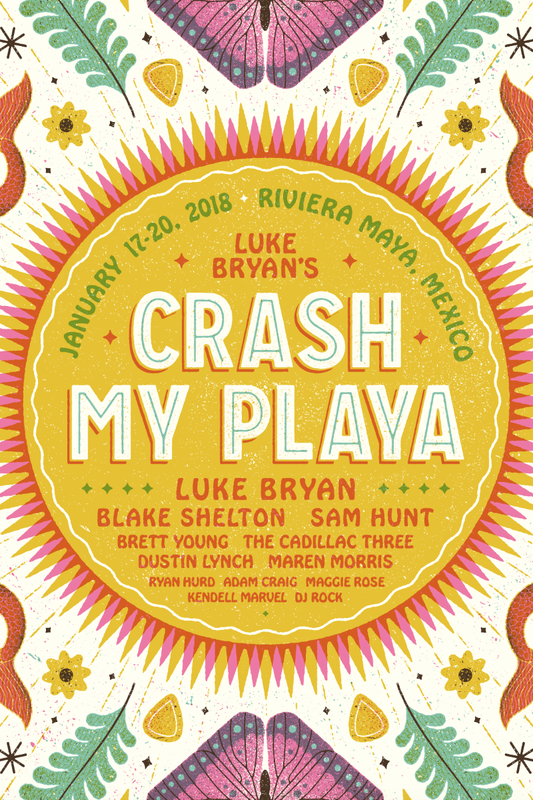 All of the relevant information would be contained in the sun, surrounded by tropical fish, flowers, birds, sugar skulls, tasty drinks, guitar picks, leaves, feathers, etc.... The idea here is to really capture the aesthetic and vibe of the event.